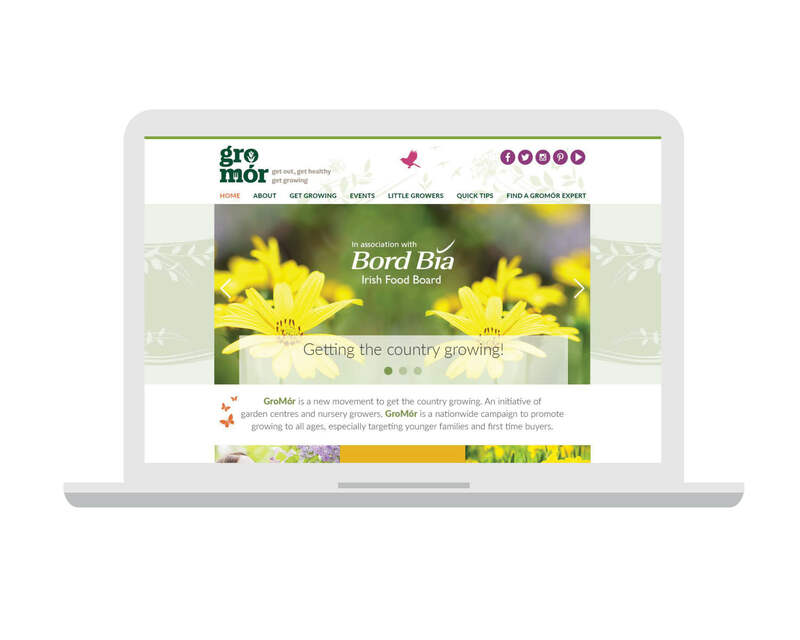 GroMór, an initiative by Bord Bia and REI, connecting the public with our GroMór centres throughout the country through their website, in-store events and social media. Idea was tasked with designing an exciting new brand identity and website, and to encourage Ireland to get growing with a social media strategy. We got to work! 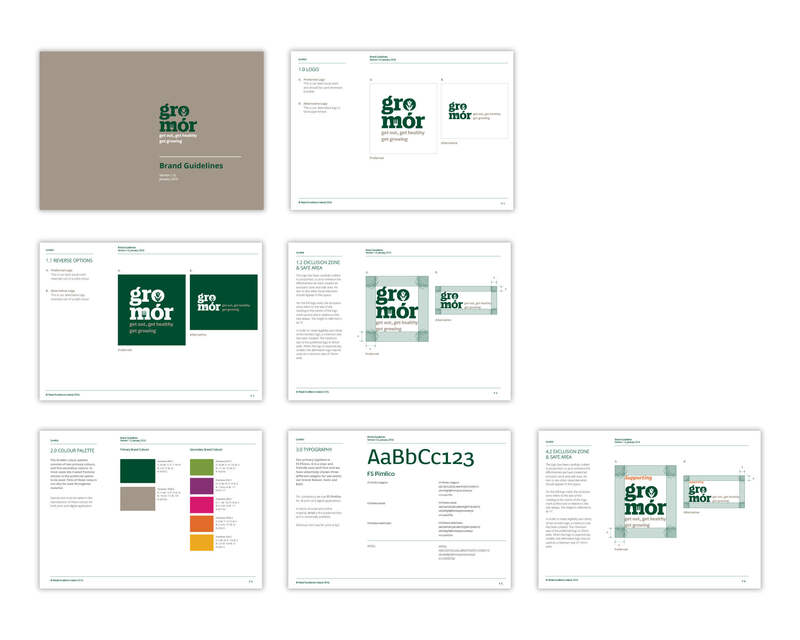 Idea rebranded the GroMór website, social media content and in-store point of sale, as well as project, managing the redesign and development of a new website, social media management, content creation, blogging and reporting. The objective of this campaign and strategy was to get Ireland growing and to increase footfall to GroMór garden centres nationwide. The tagline “Visit Your Local Garden Centre” encourages store visits and builds the link between the brand and their local garden centres. Elements like a fork and flower within the logo also build on the brand messaging, while the green and white colour palette keeps the brand earthy and natural. 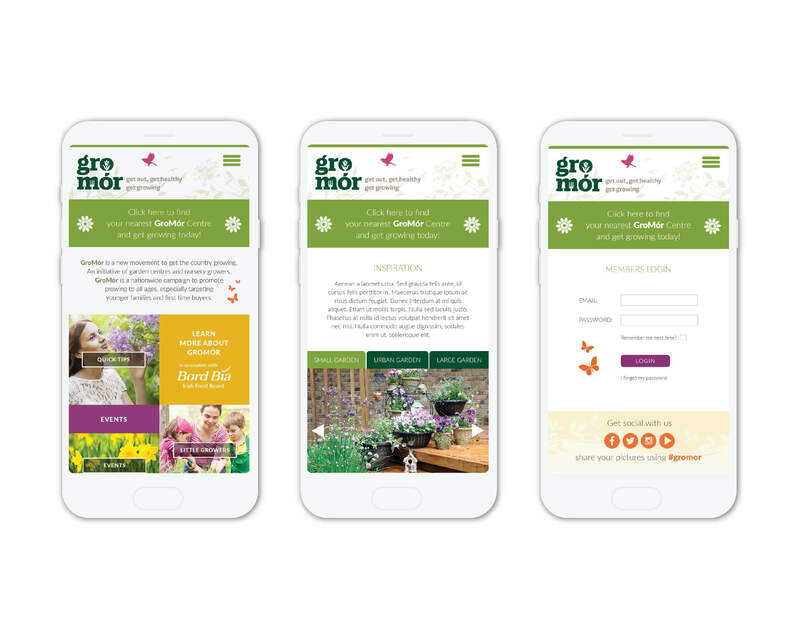 Colourful icons also add to the GroMór experience – using gardening and natural images to bring the GroMór experience to life! The website and point of sale materials helped build the brand and get awareness into households across Ireland. The 2016/2017 campaign was a huge success! GroMór has seen a 35% growth in the fan base as well as an increase of 33% in web users compared with the same period last year. 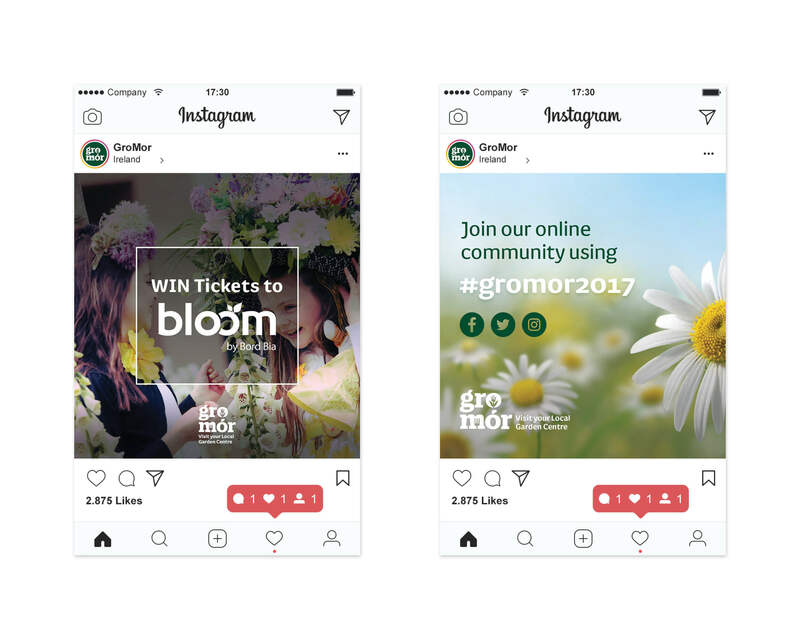 Utilising social content, blogs, events, studio artwork, competitions and POS material, 164% more people have clicked to find their local GroMór centre in the past 6 months than the same period last year!